Welcome to the Lincoln Bookbindery in Urbana, IL. 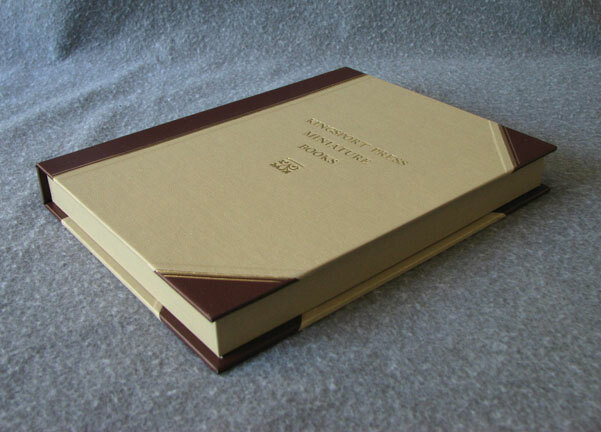 We do primarily sewn hardcover binding. We specialize in binding new, previously unbound material and one-of-a-kind custom books. We do a lot of thesis binding, as well as micro-editions (1-100 books) of family histories, memoirs, and cookbooks. 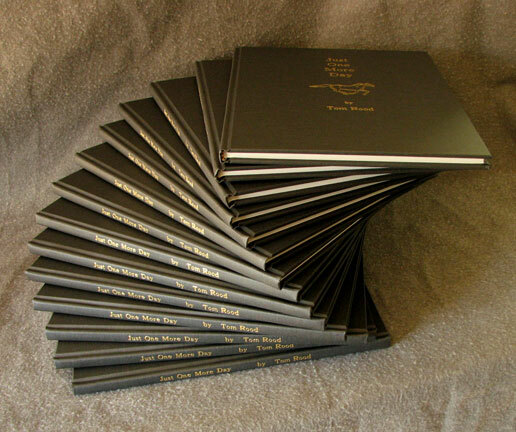 We've bound single copies of handwritten and illustrated children's books, poetry books, and even volumes of e-mail. Don't be shy, we've seen it all. We also do some book repair (please click on "book repair and rebinding" for more information). We stock over 50 colors of cloth cover materials. 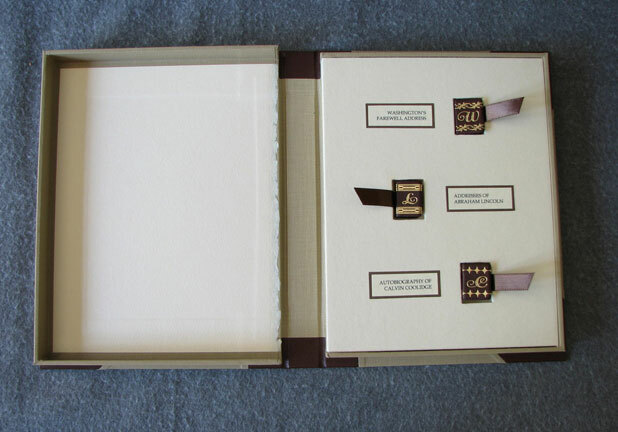 We bind memoirs and family histories in custom sizes. The price per book is lower if you have multiple books bound at the same time. We have a large variety of cover materials and can work with cloth and leather as well as marbled or decorative papers. All bindings are custom-made and assembled largely by hand, using cotton thread and acid-free end papers. Custom 3/4 leather clamshell box made to hold rare miniature books. To see photographs of some of our projects on our Facebook page, click on the above link. ~ Our prices are good compared to other binderies. Click on "prices" to the left to read more. ~ We bind small quantities and items other binderies won't consider. ~ We have a quick turnaround time compared to other binderies (one to two weeks for most things from the date we receive the materials). ~ Our bindings hold up well. We are not a copy shop, but we can put you in touch with a reliable local copy shop or printer, and can arrange to have copies made from your completed originals or electronic files. Please click on "information on printing your pages" for more details. We are not proofreaders. We bind your material exactly as you send it to us with the pages in the order in which they arrive. Cost depends on quantity and type of binding. We are located in Champaign-Urbana, off Interstate 74. Take the Lincoln Avenue Exit (#183) south. Turn left at the second stop light (Bradley Avenue) and we are the last building on the left at the intersection of Bradley and Coler. Turn right at Bradley if you are coming up Lincoln Ave. from the south. Shipping and billing are available. We accept cash, checks, and money orders. No credit cards. Please call us before shipping anything so we're expecting it and can discuss your order with you. We encourage you to contact us before you make decisions that may affect the binding process (margin size, paper type, etc.). We have been doing this for a long time and can give you lots of free advice about completing your project without a hitch. For more information and guidance on self-published micro-editions, please refer to the link to Information on Printing Your Pages at the top of the page.